Atletico Madrid coach Diego Simeone has revealed a very large hint that he will continue as coach of the Champions League finalist for next season. 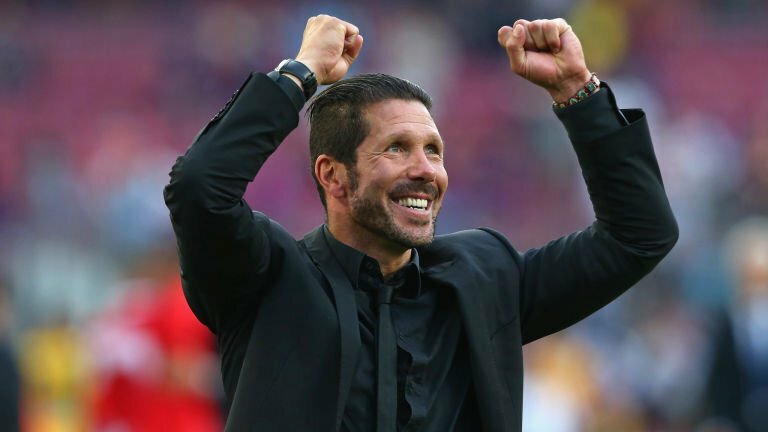 After Atletico Madrid CL final loss against Real Madrid in may, Diego Simeone made it known that he’d need time to reflect on his future, but it is all cleared now as the Argentine tactician posted a photo with some Atletico Madrid staff on instagram with the message “working from Buenos Aires”, which gives a clue that he will continue in Spain next season. Spanish source Cadena COPE also confirms this. The meeting was made with Atletico Madrid chief Gil Marin and technical director Andrea Berta with the meeting perceived to deal with the club’s transfer plan for the summer which might include the situations of Fernando Torres, Luciano Vietto and Angel Correa and also the signing of Sime Vrsaljko. El Cholo became coach of Atletico Madrid in 2011 and his tenure has seen a large success for the Madrid club. The coach has won La Liga, Spanish Super Cup, UEFA Super Cup, Copa del Rey and UEFA Europa League whilst also reaching the Champions League final on two occasions.